Last week, we shared a list of the Top 10 Scholarships for African-American students that was published in The Dallas Weekly this past December. The feedback was tremendous, and requests for additional information continue to pour in. Thank you for letting us know we are on the right track. Additionally, your comments about the amazing Brooklyn women featured in the post was heartening. I hope that Britney Wilson, Veronica Threadgill and Dr. Aprille Ericcson-Jackson will continue to be a source of inspiration to all of us. Many of our readers have asked us to share additional scholarship information as we receive it. We are honored and humbled by this request, and we will take it very seriously. These updates will not take replace our regular posts but will be in addition to them. So, why the focus on Education so early in the calendar year? While there is no one “right” answer, please consider the following. This year marks the 60th anniversary of the famous Brown v. Board of Education decision, There is always a tendency to think of Brown as “one case”, when it was actually a coordinated group of five lawsuits brought by the NAACP Legal Defense and Educational Fund, Inc. (LDF) against school districts in Kansas, South Carolina, Delaware, Virginia and the District of Columbia. The legal victory in Brown did not transform the country immediately, but striking down segregation in the nation’s public schools, provided a major catalyst for the civil rights movement and made advances possible in desegregating housing, public accommodations and institutions of higher education. There are some challenges, and I am convinced there always will be. However, we cannot deny the hard-fought gains, resulting from the Brown v. Board of Education decision, have afforded us the luxury of contemplating college for ourselves or loved ones. The information provided here is a fragment of what is available. However, our objective is to plant the seed of encouragement, in the hearts and minds of those who seek it. May 20 for the New York Metropolitan area. Awarded to individuals diagnosed with leukemia or cancer before the age of 21. Applicants must live in the Jacksonville, Florida or the New York Metropolitan area (including Bergen, Essex, Hudson, Passiac and Union Counties in New Jersey). Academic record, leadership, high moral character are additional requirements. Recipients must be enrolled in an accredited college or university full-time or planning to enroll on a full time basis. For additional information visit this link. Established to raise awareness among the public about sickle cell disease. Applicants must live in the Tri-State area (New York, New Jersey, Connecticut). Applicants must also submit a 250 word essay that details how sickle cell has affected them, their educational goals and plans to achieve those goals. Lastly, the applicant must also describe those individuals who have been instrumental in helping them persevere while struggling with this disease. For additional information, and an application, please follow this link. There are strict requirements around guidelines, partnering colleges and universities. Each year the TELACU Education Foundation awards hundreds of scholarships to students in California, Texas, Illinois and New York. Applicants must be a low income, first generation, full-time college student at one of TELACU’s partnering colleges and universities. For New York residents, applicants must have a minimum GPA of 3.25 (or the high school equivalent). To review the program’s guidelines, and to download an application, please follow this link. Amount of Award: Full tuition (less financial aid) and a four-year paid internship with JP Morgan Chase. Applicants must be a high school senior living in New York City and in attendance at one of the City’s public, private or parochial schools who has been accepted to one of the participating New York City colleges. For additional information please follow this link. Several Specific Application Requirements: Including a short essay describing an educational initiative or public service the applicant participated in to promote eye donation. The Eye-Bank is pleased to announce the establishment of its Young Ambassador Scholarship in Memory of Christopher Nordquist, who was two when he died and left the gift of sight. When his family made the decision to donate Christopher’s corneas, he became one of The Eye-Bank’s first Young Ambassadors. The applicant must live within New York City, Nassau, Suffolk, Westchester, Rockland, Duchess and Putnam counties. The applicant may be a high school senior, or a student enrolled in a two or four year college or university or pursing studies at a trade or technical school. and under 25 years old at the time of the application. For additional information, please follow this link. Amount of Award: There are four specific categories and each carries a $5,000 prize. The Lighthouse scholarships reward excellence, recognize accomplishments and help students who are blind or partially sighted achieve their career goals. Applicants must be legally blind (have a best corrected visual acuity of 20/200 or less in the better eye, and/or a visual field of less than 20 degrees). Scholarships are based on academic and other achievements, and candidates are not required to demonstrate financial need. Applicants must be US citizens, and reside and attend school in any of the following states: CT, DE, FL, GA, MA, MD, ME, NC, NH, NJ, NY, PA, RI, SC, VA, WV and VT, or Washington, DC. Proof of citizenship will be required of all winners. For an application, or additional information, please follow this link. Once on the homepage, click on the services and assistance link to access scholarship details. Must be a student who has come up with a distinctive solution to a problem faced by his/her school, community, or family. The second option is a student who has solved an artistic, scientific, or technical problem in new or unusual ways. Last option is a student who has developed an innovative way to save the environment or introduce an initiative that will improve the health of fellow citizens. This is a non-traditional scholarship focused on rewarding academic achievement and financial need. The specific goal is to reward and encourage innovative and creative problem solving. The scholarship aims to honor these students and to help make their higher education goals more accessible. Open to residents of all states who will be attending college in New York or Connecticut OR to residents of New York or Connecticut who will be attending college anywhere in the United States. For application, and more information, please follow this link.. Scholarships awarded by the New York Women In Communications Foundation are based on academic excellence, need and involvement in the field of communications. Applicants can be high school seniors who are residents of New York, New Jersey, Connecticut or Pennsylvania, attend a high school in one of these states, and will graduate at the end of this current school term. Additionally, applicants must be majoring or (for high school seniors) declaring a major in a communications-related field, including but not limited to advertising, broadcasting, communications, english, film, journalism, marketing, new media, or public relations. Lastly, applicants must have an overall GPA of 3.2 or better (or the high school equivalent). For an application, or additional information, please follow this link. Once there, access the Foundation and click on the scholarships link. Application Deadline: The Foundation takes a personal approach to this process. The Silver Shield Foundation reaches out to every family in New York City, and the surrounding area, that has lost a mother or father in the line of duty. The Foundation ensures that the death of a parent does not mean the end of educational opportunity. A Foundation Family Enrollment Form is sent to the family. Once the form is com­pleted and returned to the Silver Shield Foundation, a scholarship fund is established for the child (children) of the deceased parent. Funds may be used for tutoring or tuition at an accredited college, or graduate, vocational, preparatory or technical school. The Found­ation keeps in contact with the student to determine his/her future educational plans. For an application, or additional information, please follow this link. 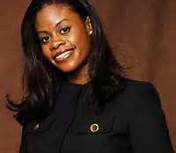 Leticia Smith-Evans is a highly respected civil rights attorney, with a Ph.D. in educational leadership and policy analysis, who was born and raised in Brooklyn, New York. She has spent her career advocating for access to equal educational opportunities for the most marginalized citizens in our society. As a former New York City elementary school teacher, Leticia is uniquely positioned to understand that one of the most daunting challenges for educators and students has its genesis in the inequitable distribution of resources. She and other educators have shared with me their desire to see conversations around education include policy reform and advocacy. Education reform must become a priority for parents, educators, advocates, elected officials, corporations and individuals like you and me. Leticia left teaching and enrolled in the University of Wisconsin Law School where she earned her J.D. degree. Eventually she was recruited by the NAACP Legal Defense and Educational Fund, Inc. (LDF). Today, she is an attorney with the Education Practice Group. For full disclosure, Leticia is my LDF colleague and friend. LDF’s rich history is distinguished by its coordinated legal assault against enforced public school segregation that would last for two decades. 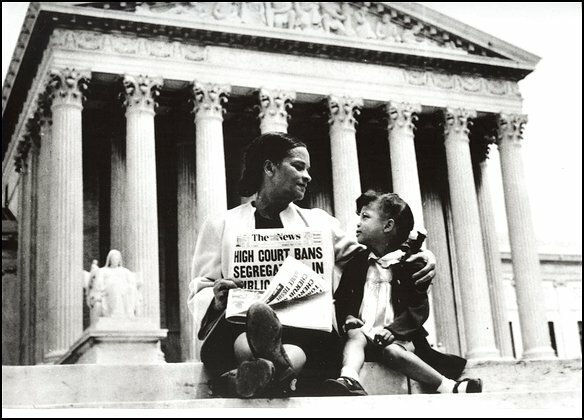 This campaign culminated in Brown v. Board of Education, the landmark 1954 Supreme Court decision that has been described as “the most important American governmental act of any kind since the Emancipation Proclamation.” The Court’s unanimous decision overturned the “separate but equal” doctrine of legally sanctioned discrimination. As with most hard-won battles, victory was not immediate. There was massive resistance to public school desegregation and LDF brought suit against school districts to ensure the promise of the Brown victory. With these subsequent victories, the Supreme Court issued mandates that required the elimination of desegregation. My friends and I often remind ourselves, had it not been for Brown none of us, particularly women, would be who we are, or where we are today. Like her LDF predecessors, Leticia continues to guide the educational conversation for the under-represented and under-served. Her present work focuses on desegregation and voluntary integration, access to higher education and school discipline reform. Many may find it hard to believe but yes there are places throughout this country where segregated school districts still exist. LDF’s desegregation cases have taken her to Alabama, Mississippi and Tennessee – just to name a few. Leticia’s work to curb school pushout and ensure access to higher education is also critically important. As we now see, problems in school discipline continue to emerge in the media. There is great public support to bring about reform in this area. Leticia has played an instrumental role in gathering stakeholders, including students, teachers, parents, advocates, school administrators, public officials, policy and lawmakers to implement alternatives to overly punitive disciplinary measures and keep students in the classroom. Less than two years ago, she took the lead in pulling together a multi-stakeholder convening titled Race, Gender, Discipline and Justice: Students Locked Out of a Quality Education, in Savannah, Georgia. There were more than 200 educators and advocates in attendance. To read more about this convening, please click here. Leticia continues to work alongside her colleagues as they await the Supreme Court’s decision in Fisher v. University of Texas at Austin. This is the first federal litigation challenging the use of race in university admissions since the Supreme Court’s 2003 decision in Grutter v. Bollinger which upheld an admissions policy at the University of Michigan Law School and broadly affirmed the educational importance of diversity. The Fisher case was argued before the Supreme Court in October 2012. A ruling in the case is expected before the end of the current Supreme Court term. When Leticia is not advocating inside of the courtroom, or working in coalition with policymakers and other advocates, she volunteers with several boards and non-profit organizations. She is a member of the Board of Visitors of the University of Wisconsin Law School. In 2011, Leticia was recognized as a member of the University of Wisconsin’s alumni association as one of their Forward Under 40 honorees. Closer to home, she is President of the Board of Directors of the Opera Company of Brooklyn, which was created in 2000 to promote talented young artists, while providing affordable and accessible opera to New York City communities. She also serves as a career guide for the NYU Fellowship for Emerging Leaders in Public Service program. Her other recent accolades include being selected to receive: a fellowship with the National Council for Research on Women – American Express Fellowship: Building the Next Generation of Women Leaders in the NonProfit Sector, the Brown v. Board of Education Award for outstanding commitment to equal educational opportunity and social justice, the National Association of Women Lawyers Award for outstanding professional potential and service enhancing the legal profession, the Legal Aid Society Pro Bono Award for outstanding pro bono contributions and the Wisconsin State Bar/Law School Academic Award for highest achievement in constitutional law. Remember, this list of accomplishments belongs to a woman who is under 40 years old! Just imagine what she will achieve in the next 40 years. Leticia has distinguished herself as a young woman with a huge vision and she intends to see it through. We at Brooklyn Legends admire Leticia for her tireless work as an advocate for racial and social justice. It is our pleasure to salute her. We will also continue to update you on Leticia’s movements and provide ways that you may also join in the conversation around education reform.